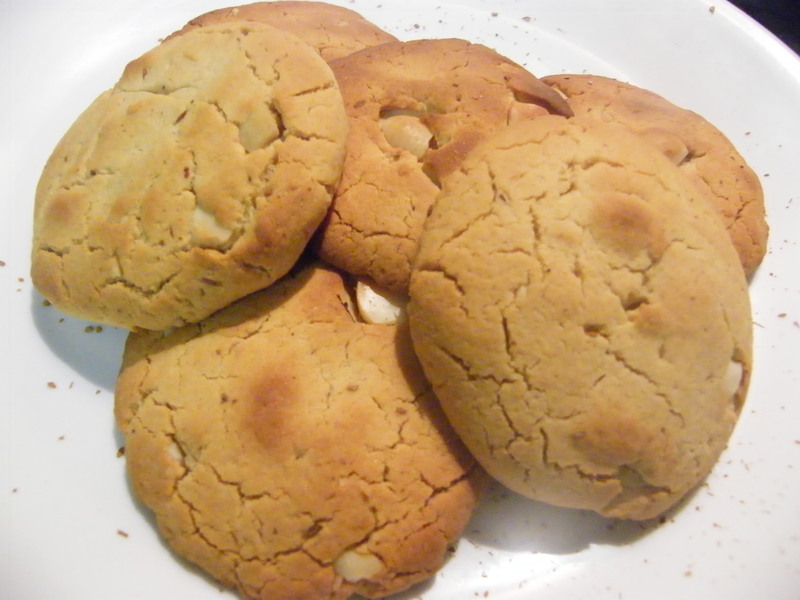 White Macadamia Protein Cookies | edible. My treat for this week: Vital protein powder. Which leads naturally to: Cookies. 1 C brown rice flour. 1/2 C vanilla protein powder. 1/2 C Rice malt syrup. Generous pinch celtic sea salt. Mix with hands, get messy. Roll into balls, bake until brown at 200ish for 10-15ish minutes. Makes 8 cookies. Best eaten fresh. The protein powder makes them a little drier than usual so either wetten up your batter, or dunk them in tea.